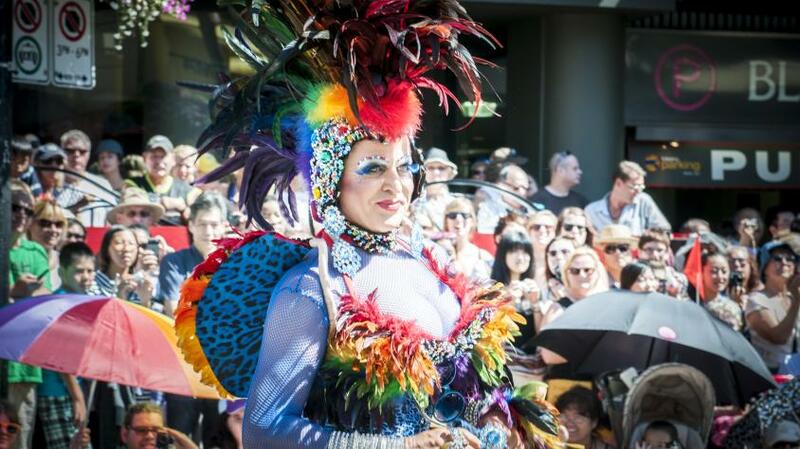 Celebrate Pride in Vancouver with These New and Recurring Events! Vancouver has long been a home to a number of international events that celebrate diversity and the LGBTQ2+ community. Vancouver&apos;s Pride celebrations started as a courageous and peaceful protest in 1978 and has quickly become one of the most grandiose, spirited and outspoken celebrations of inclusivity and the freedom to love who you want and to be who you are fiercely and openly. Check out these new and recurring events to celebrate this summer (and all year &apos;round!). Queer Arts Festival is Vancouver’s transdisciplinary arts festival celebrating queer art and artists through challenging art exhibitions, stimulating live performances and inspiring workshops. New this year, Forbidden Vancouver&apos;s Really Gay History proves that the path to equality isn&apos;t always straight. In this 2.5-hour walking tour, guests will be led by Forbidden Vancouver storyteller and guide Glenn Tkach, dressed in a pink suit and fedora, from Vancouver&apos;s city centre to Davie Street&apos;s famous rainbow crosswalk, experiencing stories, moments, locations, and monuments in Vancouver&apos;s downtown. Each spot on the tour is a key player in the city&apos;s long history of queer rights, from Granville Street&apos;s "Kiss-Ins" to the GRID crisis at St. Paul&apos;s hospital to the gayest beer parlour in town. Tours offered daily at 2 p.m. during Pride week! A longtime Pride favourite, this event is now bigger than ever in 2018. Hosted in Vancouver Art Gallery&apos;s North Plaza (800 Block Robson), kick-off this year&apos;s celebrations with DJs, a silent disco, a beer garden and sober lounge, food trucks, community groups and vendor village, and the unveiling of the 2018 Interactive Art Project, all topped off with a main stage event. Stay tuned for the line-up of fabulous local talent and performances featured this year. Whip out your flashiest outfit, leave your inhibitions at home and spend a sultry summer weekend celebrating Pride at Parq. The celebrations feature two full days of Pride festivities hosted by Kim Chi and Pearl, stars of RuPaul&apos;s Drag Race, including performances by the Brat Pack and DJ Dickey Doo, art installations by renowned artist Tom Pollock and Pride-inspired cake and cocktails, so let your pride flag fly! An addition and alternative to the Pride Festival, the Dyke March is a smaller, more grassroots approach, followed by lively entertainment for the whole family in Grandview Park on Commercial Drive. In this joyous celebration of diversity, anybody who shares the &apos;life is a cabaret&apos; spirit will feel right at home! Parties, dances, cruises, a parade and a spectacular final event makes this an unforgettable celebration every summer. The parade is also a reminder of how far we’ve come and how far we still need to go to ensure everyone, not just in Vancouver, but around the world, is able to love safely and fully. This festival has it all! Combining all the great elements of the traditional gay ski week with the bonus of a winter festival, as well as a more comprehensive and exciting range of culinary, health and wellness, spa, and educational activities. For a current and comprehensive listing of upcoming rainbow-centric events in Vancouver, please visit the "What&apos;s On" section of Gayvan.com; or check out DailyXtra.com’s weekly “Out in Vancouver” guide. Vancouver has plenty of lodging. Click here for TAG-approved (Travel Alternatives Group) hotels that meet LGBTQ2+ standards and criteria.